Is the performance of your AR-15 rifle failing to live up to your high expectations? Are you discovering that your weapon no longer delivers the same high level of reliability and accuracy as it used to? The simple act of upgrading standard AR-15 components or replacing old, worn-out parts can go a long way toward ensuring your weapon operates at peak efficiency. Wing Tactical is your source for a wide selection of affordable AR-15 parts that will get the job done in the most cost-effective manner. Our affordable AR-15 mods allow you to save money without sacrificing reliability, performance or longevity. We only offer top-quality parts from leading manufacturers such as Magpul, Seekins Precision, Troy Industries and many others. All of our budget AR-15 mods, parts and accessories are covered by our hassle-free 30-day return policy for your protection and peace of mind. The right pistol grip can improve accuracy and prevent slippage. Our selection of inexpensive AR-15 parts includes drop-in replacement grips from Magpul featuring advanced ergonomics intended to promote positive weapon control. Highlights include textures and serrated frontstraps and backstraps that make the weapon easier to grasp, as well as a beavertail that prevents lower receiver edges from rubbing against your hand when holding or firing the weapon. Lower receiver parts such as the Odin Works XMR 2 Extended Magazine Release can substantially reduce the time it takes to change your AR-15’s magazine. This innovative product includes a user-friendly extended magazine-release button that allows you to release the magazine without changing your grip or position — no more fumbling with a poorly designed factory mag release button. The expansive surface area enables a faster magazine reload. There are certain times when it’s imperative to break down your AR-15 rifle in a hurry. The Enhanced Push Button Pivot and Take Down Pins Set from KNS Precision includes .250 diameter pins featuring quick-release buttons that force the keeper pins to remain on the opposite side. This allows you to break down your weapon without the use of tools. There’s also an attractive black oxide finish that provides effective protection against corrosion. Our inventory of affordable AR-15 parts also includes gas rings for AR-15 bolts from JP Enterprises featuring a revolutionary one-piece design. This enables easy, precise fitting for small-frame bolt carrier parts. The ring also features a solid gas seal that reduces the amount of friction between the ring and bolt carrier, which minimizes wear. The specially designed edges can help keep the carrier clean during cycling. Extended Bolt Release V2 (EBRv2) from Phase 5 Tactical allows you to release the bolt from the open position and push the bolt back with just a flick of your finger. This can be an important benefit during a tactical situation as it enables you to maneuver the bolt and clear the weapon with greater speed. You can easily install the EBRv2 onto your current bolt release without disassembling your weapon. 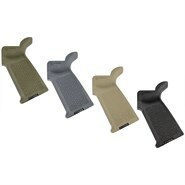 A Rubber Buttpad from Magpul can provide a stable shoulder purchase for the Magpul buttstock and also improve comfort during periods of heavy or extended use. This can prove invaluable for maintaining a secure grip on your weapon, which will ultimately maximize accuracy during firing. This buttpad will only increase stock length by a scant seven-tenths of an inch, so it will not disrupt your AR-15 rifle’s ergonomics. The Seekins Precision AR-15 Enhanced Bolt Catch will provide a smoother, more efficient bolt operation than most factory-installed bolt catches. The catch is designed to lock the bolt back after the magazine is emptied for fast reloading of your weapon. You can also quickly and easily release the bolt when you’re ready to fire. The unique diamond pattern ensures positive finger engagement for high-precision firing. Upgrading your AR-15’s trigger guard to a Seekins Precision Billet Trigger Guard will provide many important benefits. The large downward curve gives you additional finger room, which is especially important when wearing gloves. The smooth edges and surfaces will prevent discomfort when operating your weapon without gloves. The solid metal construction means your trigger guard will provide excellent durability, even if you use your AR-15 frequently. 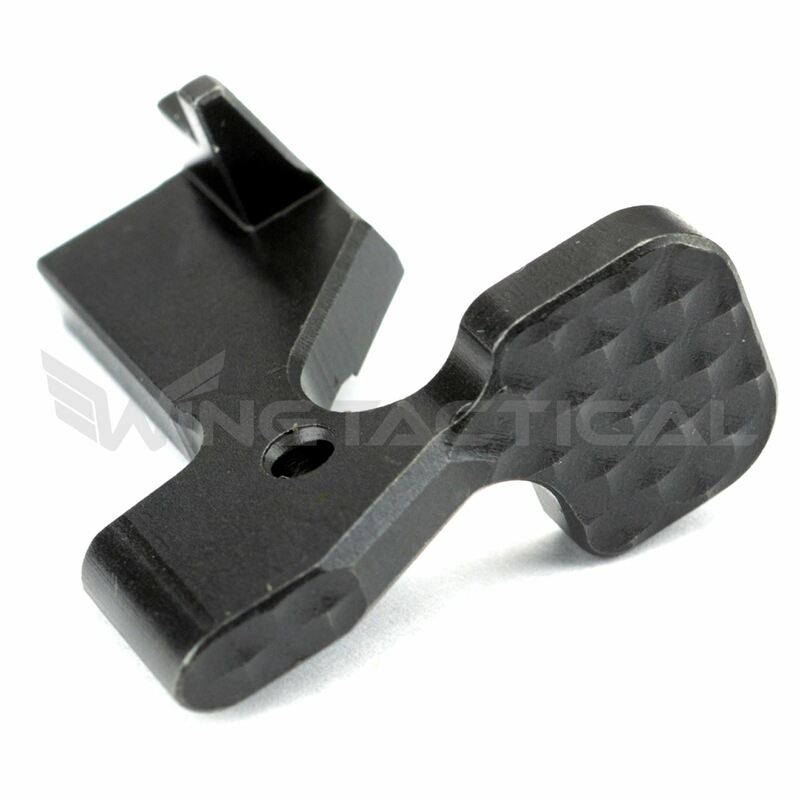 Please take a look our entire selection of inexpensive AR-15 parts for sale. Next-day shipping is included with all parts orders.